Nice collection! Typo in VLBA description: longest baseline is abt. 8600 km, not 8.6. Thanks, good catch! Fixed, thanks for reading! Each a unique and awesome instrument in its’ own right. Thanks for the update! For those who don’t know.. The energy output of a receiver or transmitter from a microwave frequency antenna can be electronically modulated so the sin wave of the input/output signal is redirected. This allows scanning a wider part of the sky without actually moving the antenna…. thus electrically observing a wider swath of the sky. Ah… the pattern of peaks and troughs emitted from the 2D array of antenna “pixels” is adjusted to form a wave which travels in the desired direction. Same principle as holography. Let’s see…so far I have visited VERITAS, LOFAR, CTIO (the GONG) and the St. Croix VLBA dish (and four others: Kitt Peak, Fort Davis, Texax, Liberty, Iowa and Mauna Kea, Hawaii). 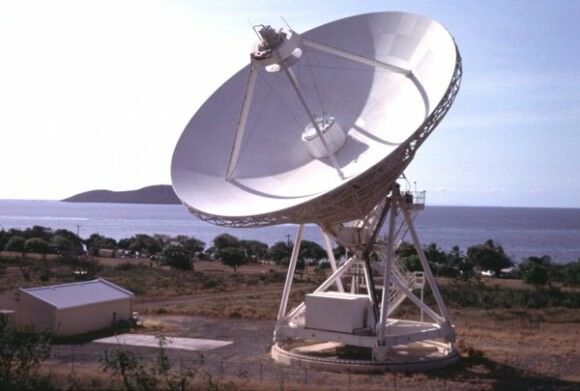 I lived on St. Croix while they were building the VLBA dish and have some construction photos. Now to ban all the others!